Balochistan is synonymous with problems and security problems. The threats to the lives of political workers and journalists in Balochistan continue to rise. Contrary to claims of the chief Minister Balochistan, Dr. Abdul Malik Baloch, the security situation in Balochistan has deteriorated since he has assumed office of chief executive of the turbulent province. Along with security related problems, poverty and unemployment are huge problems in Balochistan and there is no visible effort by government of Balochistan to reduce unemployment and alleviate poverty. The available statistics for poverty and unemployment in Balochistan portray a bleak picture. According to a report published by Social Policy and Development Centre in 2013, 45.68% of people live below poverty line in Balochistan. That percentage has increased over the course of last year. Presently, 52% of household live below poverty line in Balochistan according to the report Clustered Deprivation published by Sustainable Development Policy Institute. This means that more than half of the population of Balochistan earns less than $1.25 per day. These statistics speak volumes about the prevailing poverty in Balochistan. It goes without saying that poverty incidence in Balochistan is highest among all four provinces of Pakistan. Moreover, the unemployment rate in Balochistan is 4%, according to the data provided by Pakistan Bureau of Statistics. This figure is hard to believe as the level of unemployment in Balochistan is sky high. Excluding Quetta, rest of 31 districts in Balochistan provide no employment opportunity whatsoever for the people. Agriculture was the primary source of employment in Balochistan and it has been badly affected by the electricity shortage. The unemployment in Balochistan is much higher than what the aforementioned figures reflect. 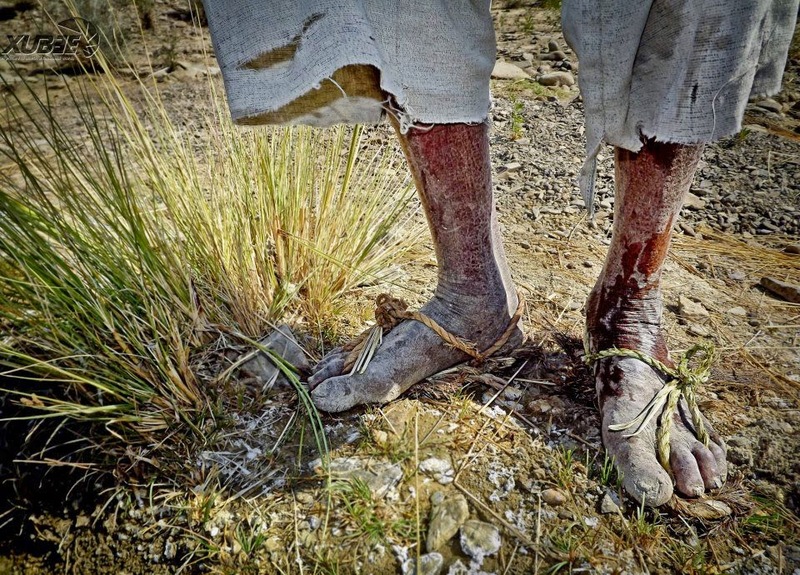 Increase in poverty and unemployment is taking its toll on people of Balochistan. The increase in militancy in Balochistan can be loosely attributed to incidence of poverty in the restive province. Rather than admitting the fact, that Balochistan is breaking new records of poverty, government of Balochistan and Pakistan, hide the reality by making the false claim that situation is improving. To rub salt to the wounds, Federal government has declined to start recruitment on 3000 jobs in Federal government departments which are reserved for Balochistan and FATA. For the politicians and bureaucrats in Islamabad, unemployment and poverty are non-issues. The reasons for current surge in poverty and unemployment in Balochistan can be found in apathetic policy adopted by federal government towards the province. Federal government has never seriously made efforts to facilitate job creation in private sector in Balochistan even when the province was peaceful. Balochistan government has also not made serious efforts to persuade the federal government for facilitating foreign direct investment in Balochistan and developing basic infrastructure in the province. In last 5 years, hundreds of billions of rupees have been received by the Balochistan government from federal divisible pool. The share of Balochistan increased considerably after passing of 7th NFC award in 2010. Hundreds of billions, if spend fairly could have been a huge stimulus for the economy of Balochistan. Unfortunately, those funds have gone into the pockets of politicians and bureaucrats of Balochistan at the detriment of people of Balochistan. Balochistan government is equally responsible for plight of Balochistan at the moment. In the budget for 2014-15, Balochistan government has allocated development funds for different projects, majority of which will not contribute in poverty alleviation. The selected projects are mostly roads and buildings, there is no way to deny the importance of them but these should not be the first priority. The reason funds are allocated for these types of projects is that kickbacks can be earned easily and at a higher rate. The development funds of Balochistan, ideally, should be spent on projects which achieve the following objectives; employment creation, increasing purchasing power of people and increasing the government revenue. The Balochistan government should divert the major chunk of development funds to Agriculture, irrigation, fisheries, mining, forestry and livestock sectors. Majority of the population is dependent on these sectors for their livelihood and it makes perfect sense to develop them. The political solution of security conflict in Balochistan doesn’t seem to take place in near future. This should not mean that poverty alleviation and employment generation should be ignored as an after-thought. A meaningful and determined approach by both provincial and federal government can achieve the target of improving the living standard of people of Balochistan. Will both of these governments ever embark on such a mission, based on past record, it’s doubtful.